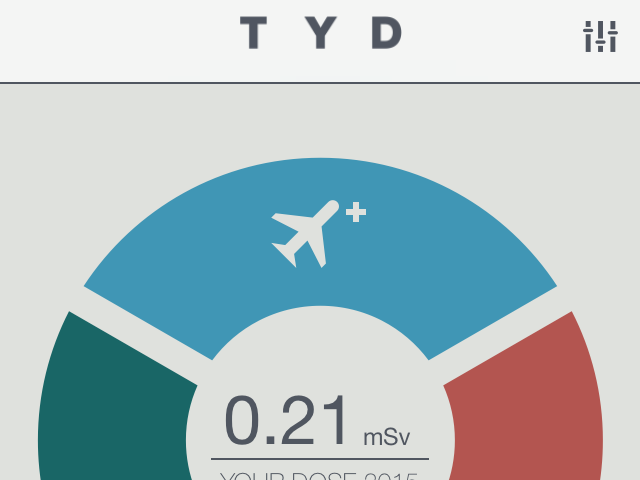 Frequent fliers are now able to monitor their personal radiation exposure when flying using the TrackYourDose app. Behind the app lies intensive research work undertaken by the Physikalisch-Technische Bundesanstalt (PTB). Since 1997 PTB has studied the cosmic radiation at typical flight altitudes and, based on this, it has developed mathematical models for calculating radiation levels. By licensing these mathematical models to the start-up company esooka, the wider public can now monitor their own radiation exposure during flights. For frequent fliers and others who are interested in doing this, an app has been on sale at the Apple Store since the end of 2014. To study the worldwide distribution of radiation exposure through cosmic radiation, PTB's scientists developed a carry-on "flight case". This can measure all the relevant types of radiation, in particular neutron radiation which is produced in the atmosphere, with regard to their biological effectiveness. The measurement value is called the "ambient dose equivalent" and is measured in microsieverts (µSv). A ten-hour flight across the North Atlantic, for instance, results in a radiation exposure of 50 µSv to 100 µSv. We can compare this to having an X-ray at the dentist's which may lead to between 2 µSv and 6 µSv, depending on the type of X-ray. In 2012, the total annual radiation exposure of a typical person in Germany through naturally occurring radiation came to about 2100 µSv (=2.1 mSv). Using the flight case, PTB's scientists measured more than 2500 measurement points showing the "ambient dose equivalent rate", given in microsievert per hour (µSv/h), at flight altitudes between 8 km and 12 km worldwide between 1997 and 2006. Suitable mathematical models and adjustment procedures allowed all the measurement values to be described with a simple mathematical function according to their geographical location, the flight altitude and solar activity. This procedure was put forward to the International Commission on Radiological Protection (ICRP) to define reference values of the ambient dose equivalent rates based on about 20,000 measurements. Transferring the mathematical model developed by PTB to the esooka company has given the wider public access to radiation monitoring for individuals. This means that PTB is complying with two of its legal tasks at the same time: research on radiation protection and promoting German companies through technology transfers. 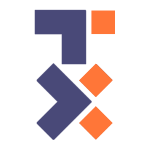 Using the TrackYourDose app, you enter the details of the airports you are flying from and to and the date you are travelling. Then the current solar activity for your flight is provided by the esooka server. This can mean large differences in the individual level of radiation exposure, especially for polar routes. esooka gets the data on solar activity from the neutron monitor of the University of Oulu in Finland. But TrackYourDose can do more than that. Apart from cosmic radiation from air travel, everyone is exposed to natural radiation, gamma radiation and cosmic radiation on the ground (this is highly dependent on where you live). In addition, medical examinations with ionizing radiation such as X-rays or CT scans lead to radiation exposure. By entering the radiological examinations you have had and the place where you live, additional exposures can be taken into account by the new app. This means that all your significant radiation exposures are covered by TrackYourDose.